After I picked Addie up from school, we were in a mission to drop all of our donations off and get caught up on our kindness mission! She loves talking to people about Calvin and the letters he leaves her! First stop was the animal shelter! We carried out donation in, told them about our kindness mission and they were very grateful! 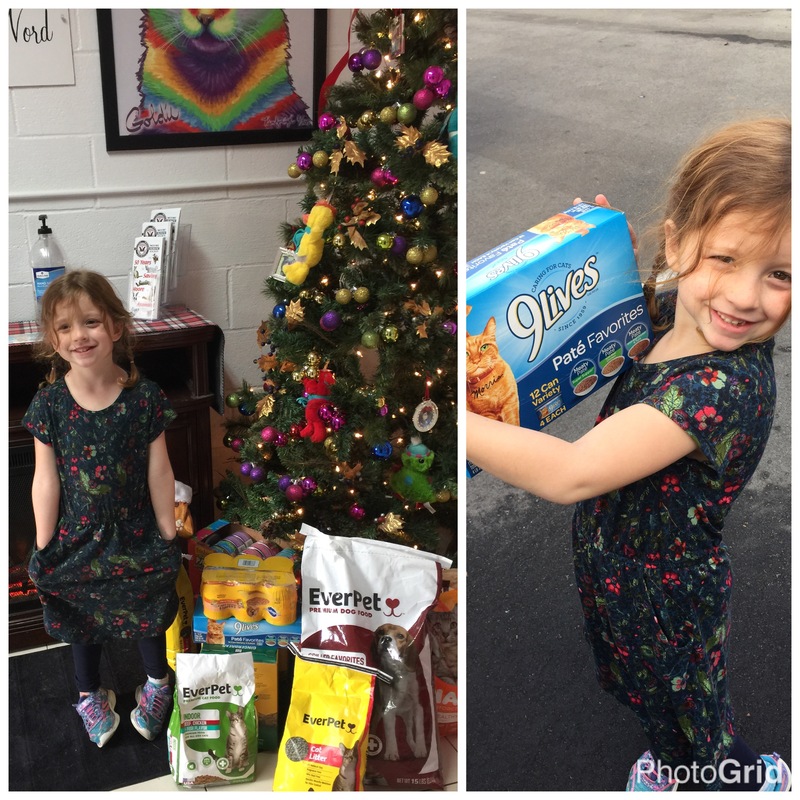 Addie then had a chance to play with some Kitties and I had a chance to further explain our kindness mission! Our second stop was to Tara Plantion, to drop off notes and pictures to the residents! This was by far my favorite Calvin task to date. I was afraid thatAddie would be nervous and not interact with the residents…boy did she prove me wrong!!!! 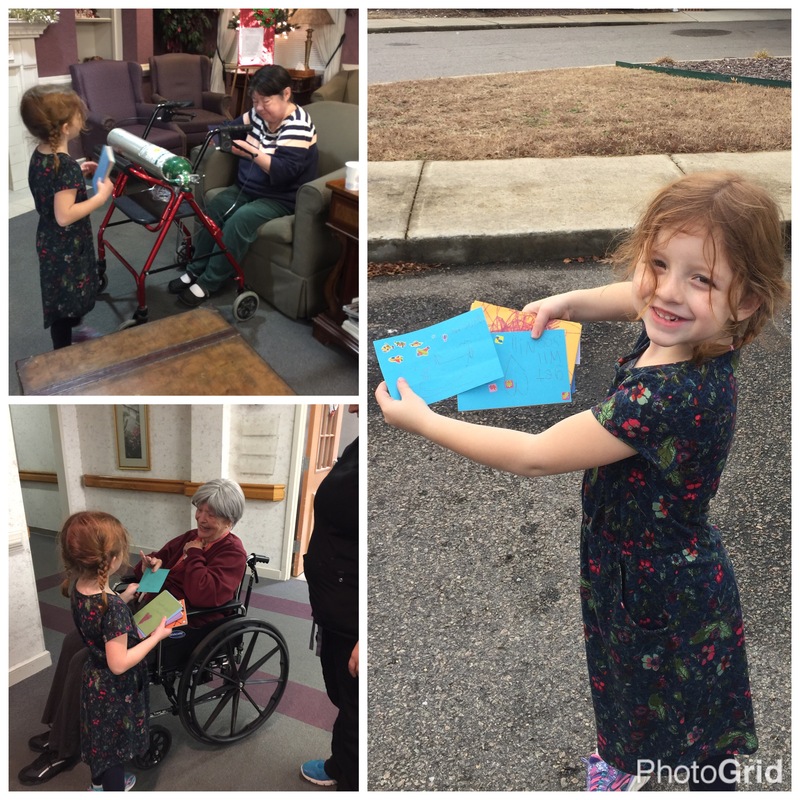 We explained our mission to a staff member, and then she escorted us around to several resident rooms, so Addie could pass out the cards! Addie was so brave, shaking their hands, giving hugs and wishing everyone a Merry Christmas!! This was a moment that I will always hold dear to my heart!! 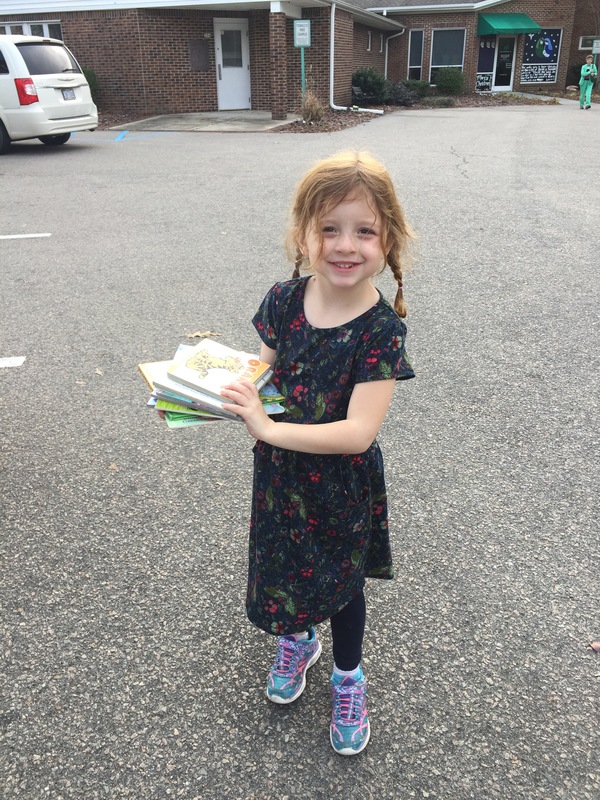 Our last stop for the day was to a doctors office to drop off some books that Addie no longer reads! Once again, she was so brace! She walked right in, told the receptionist that she had some books to donate, and handed them over! We explained our mission of kindness and that we were bringing these books for the kiddos to enjoy! The receptionist was very grateful for our donation! My baby girl is growing up!! She is developing a sweet and kind spirit, who loves to help others! It is so fun to watch as she becomes a young lady, who loves the Lord! And who enjoys doing for others! !